35.6a. 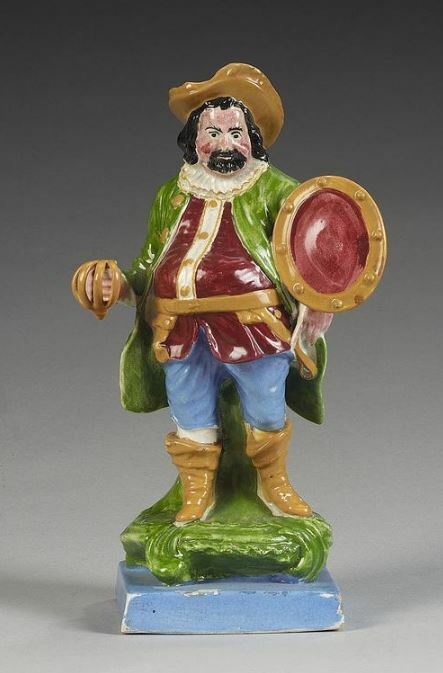 This figure is from the Enoch Wood/Wood & Caldwell molds, but the painting is particularly unusual and is more typical of a Scottish pot bank. (c) Bonhams. 33.8a. Falstaff. From the same pot bank as 33.7 and 33.8 but on a handsome black base. 33.11. Reminiscent of 35.10 and conceivably with heads from the same molds, but the rest of the figure differs markedly.